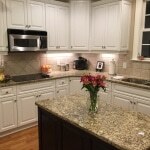 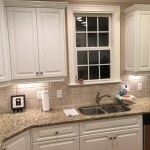 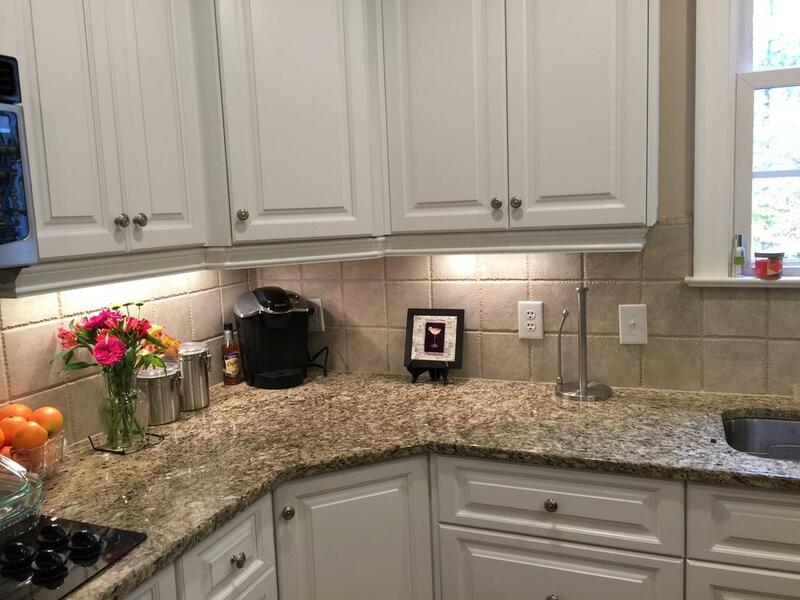 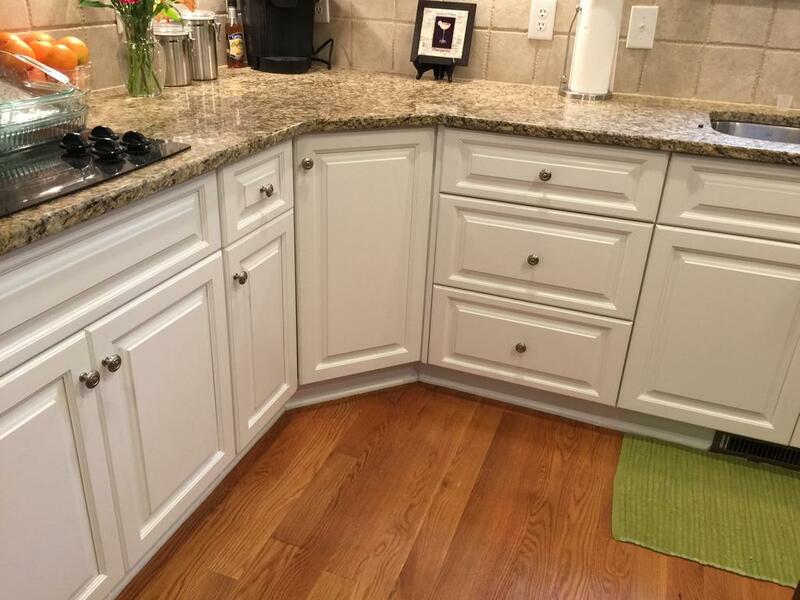 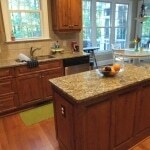 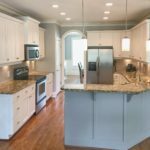 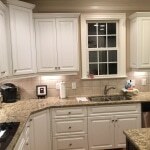 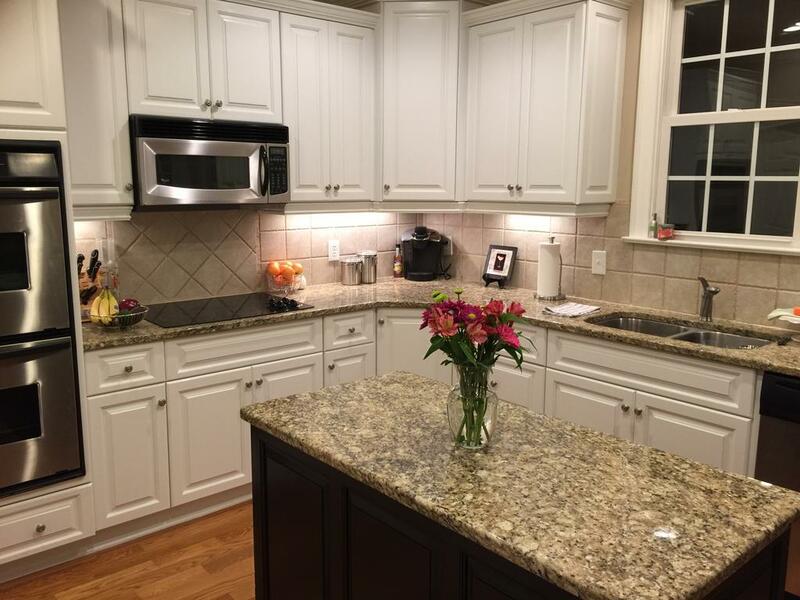 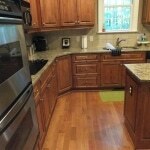 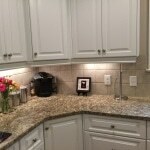 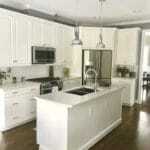 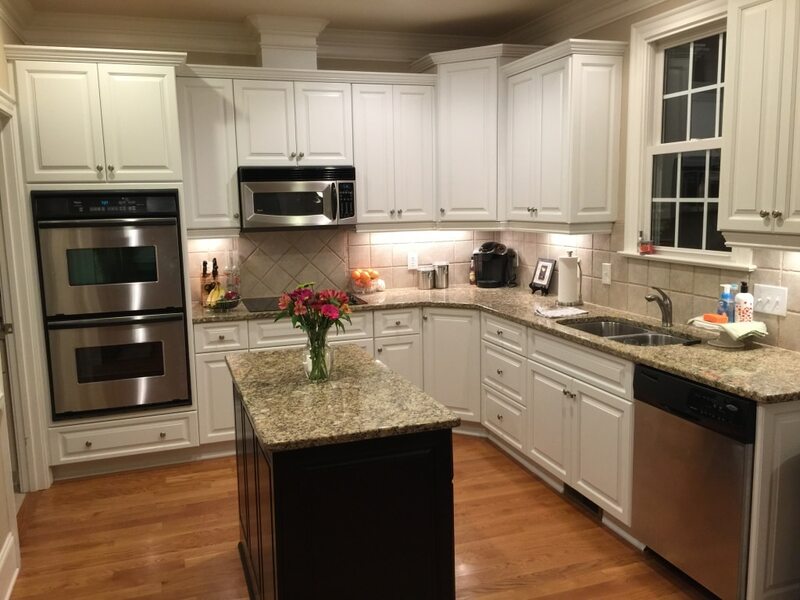 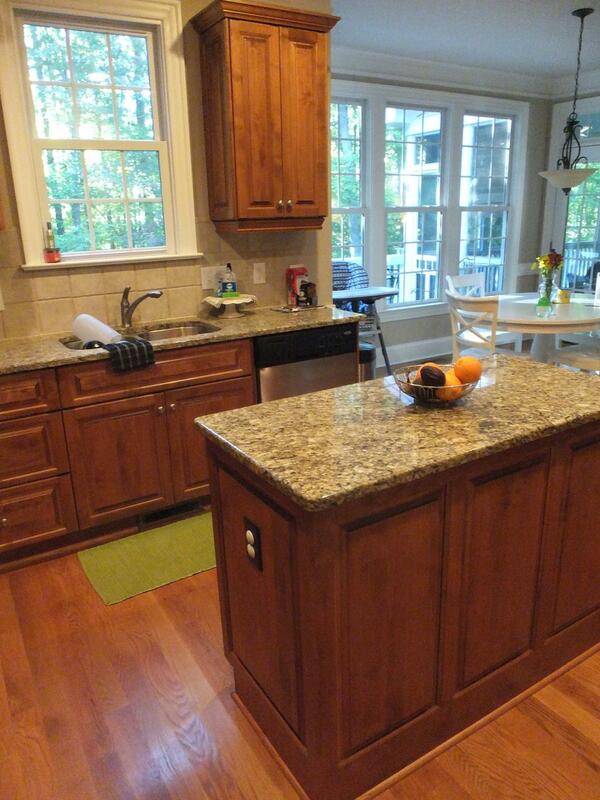 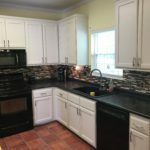 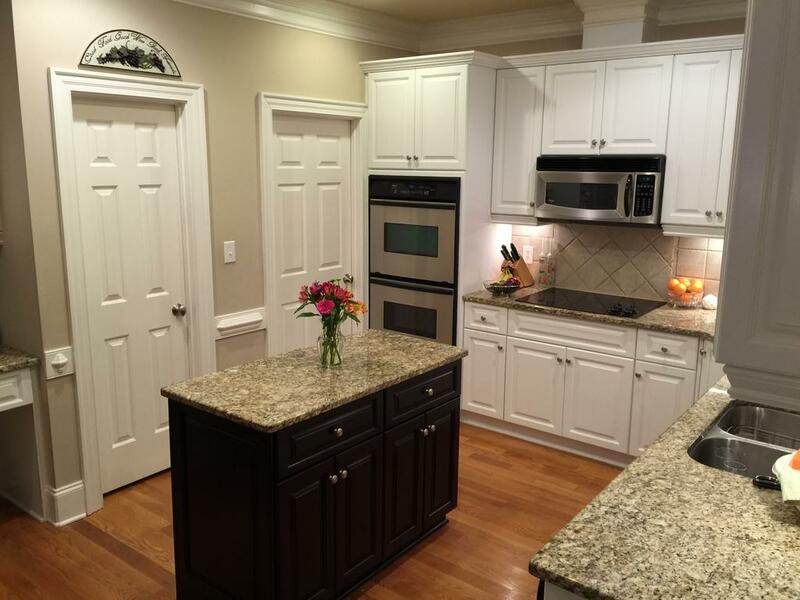 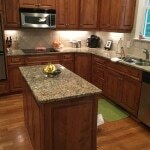 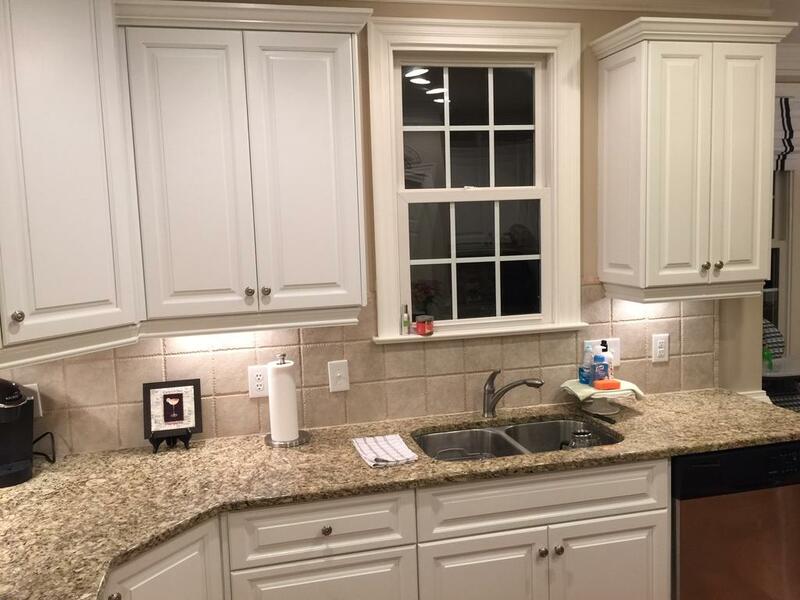 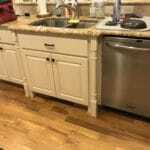 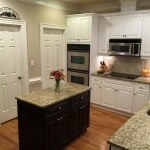 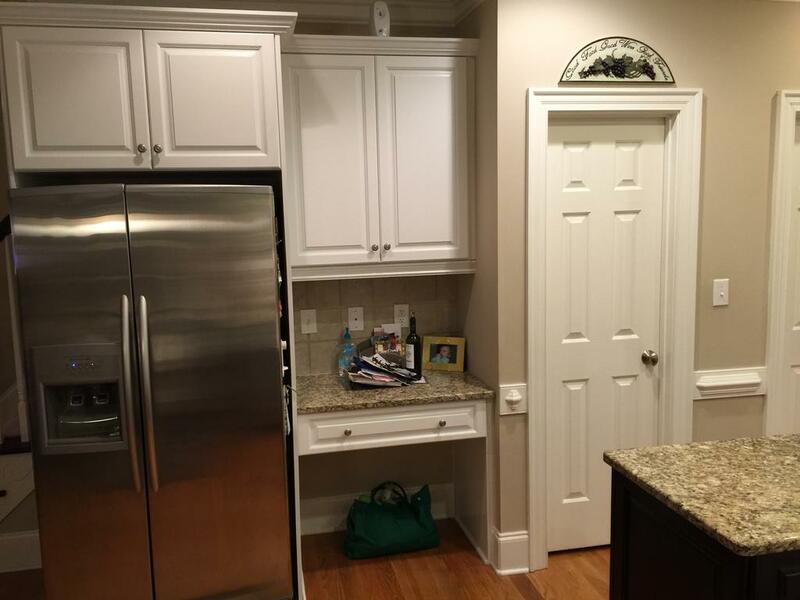 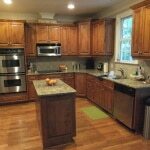 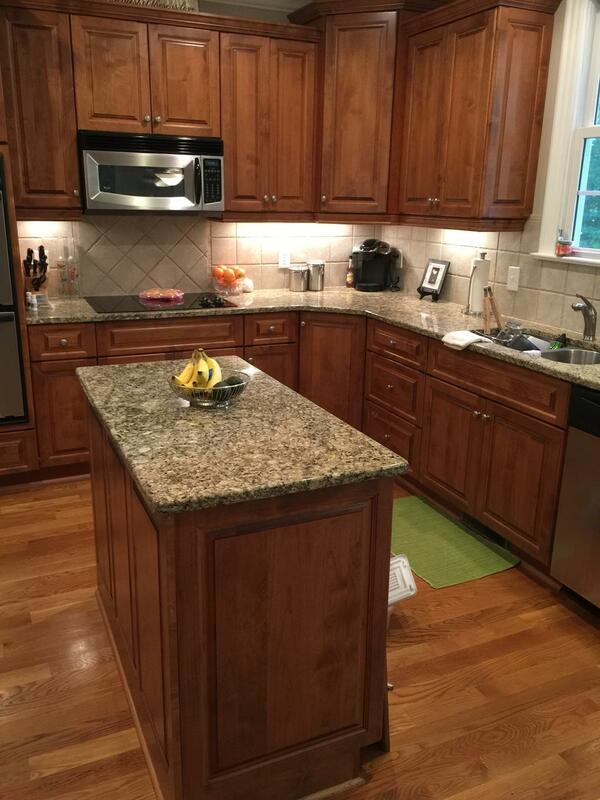 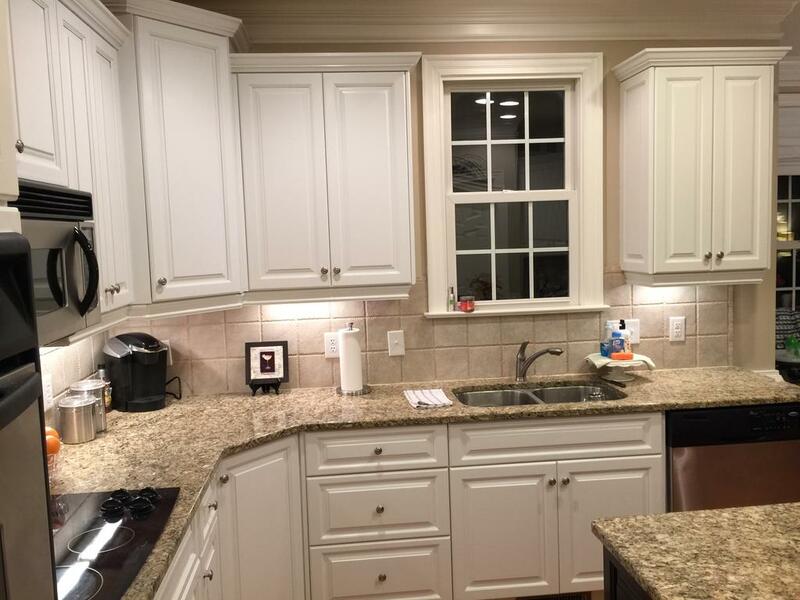 Our homeowner was ready to say goodbye to her boring brown cabinets, and hello to bright, fresh and updated. 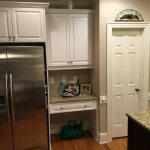 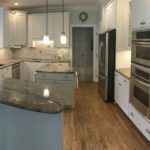 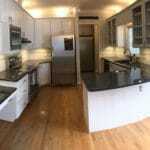 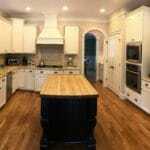 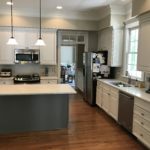 She chose Sherwin Williams Pure White for all the wall cabinets, and then we stained the island with Java brown to make it stand out. 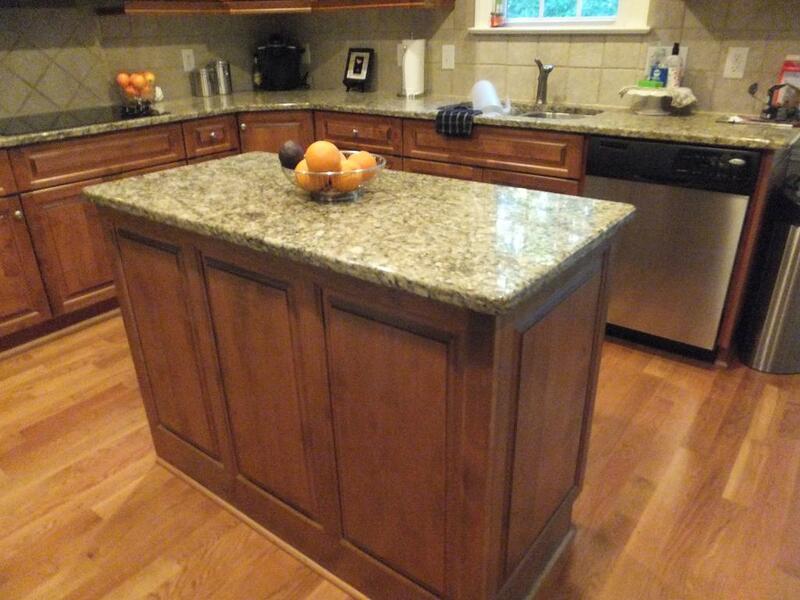 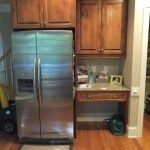 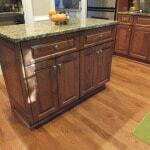 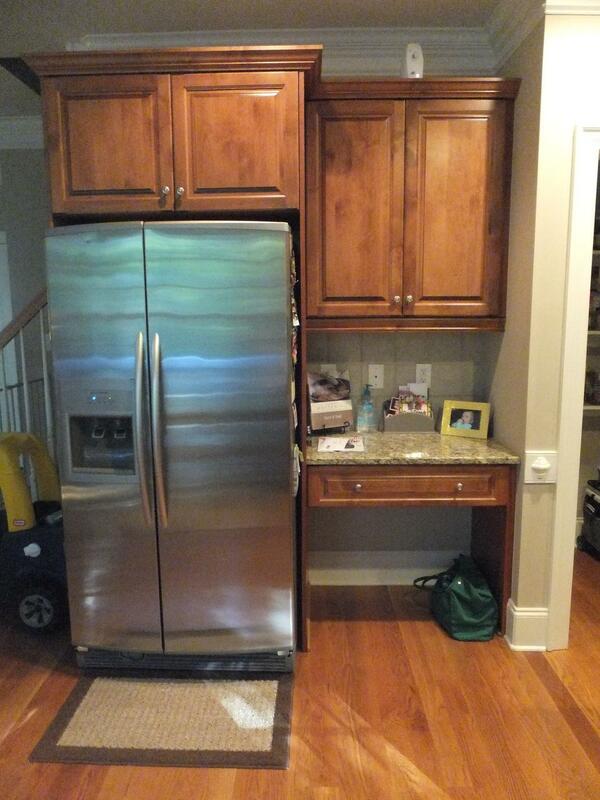 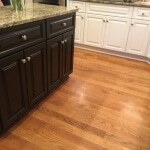 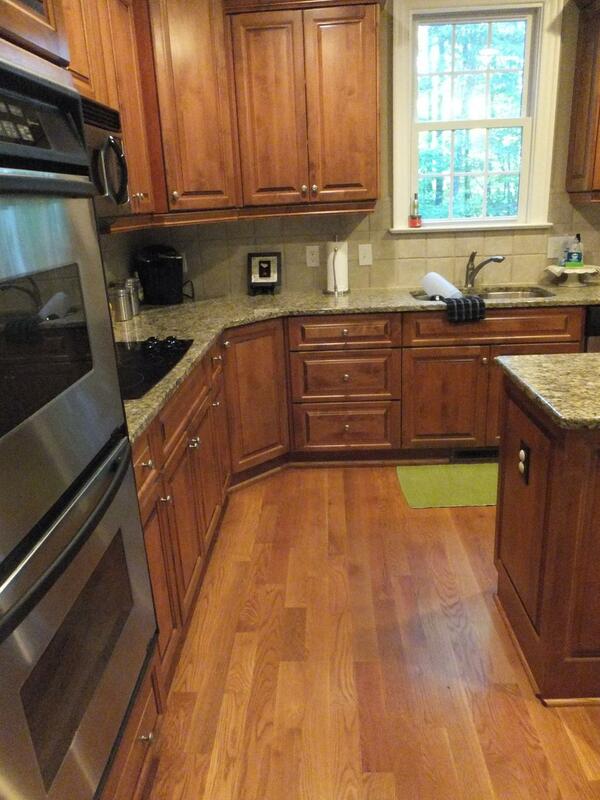 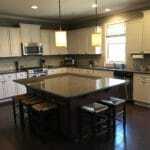 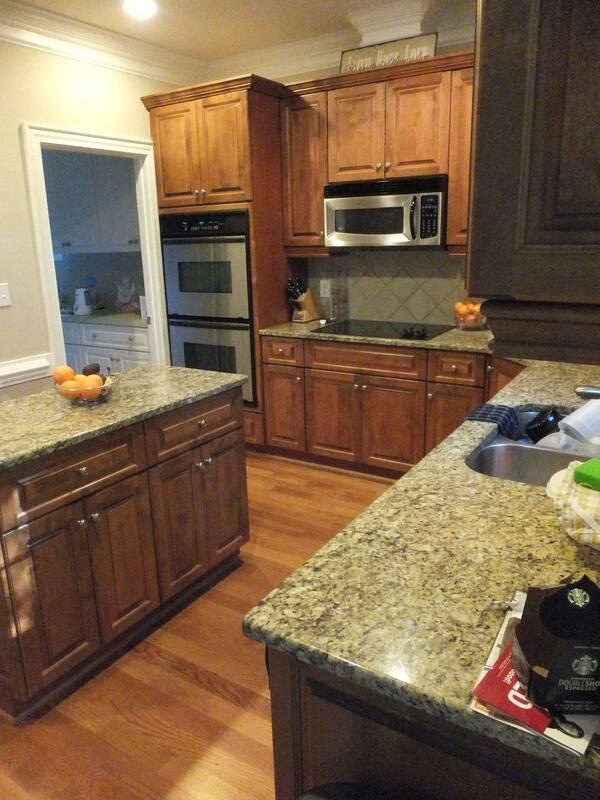 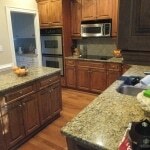 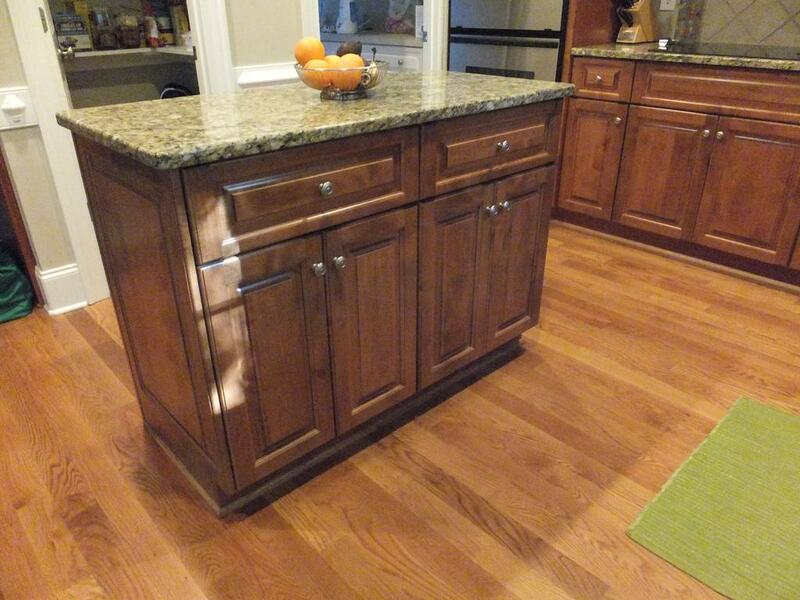 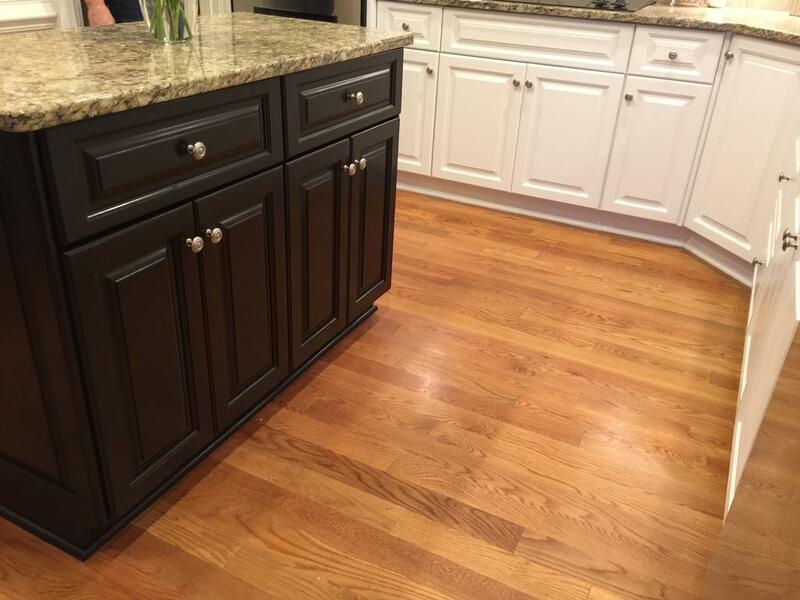 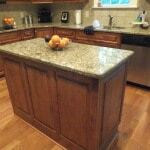 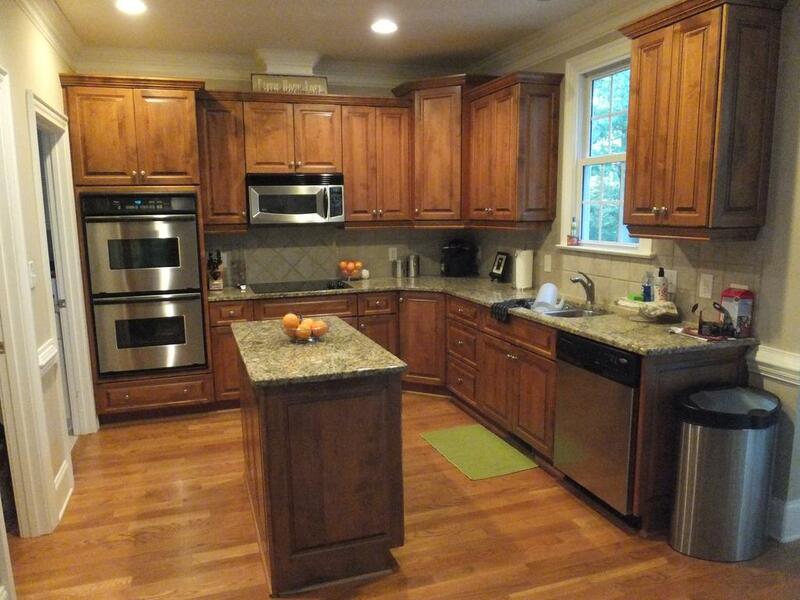 Now the cabinets no longer blend right into the oak floor….they shine!